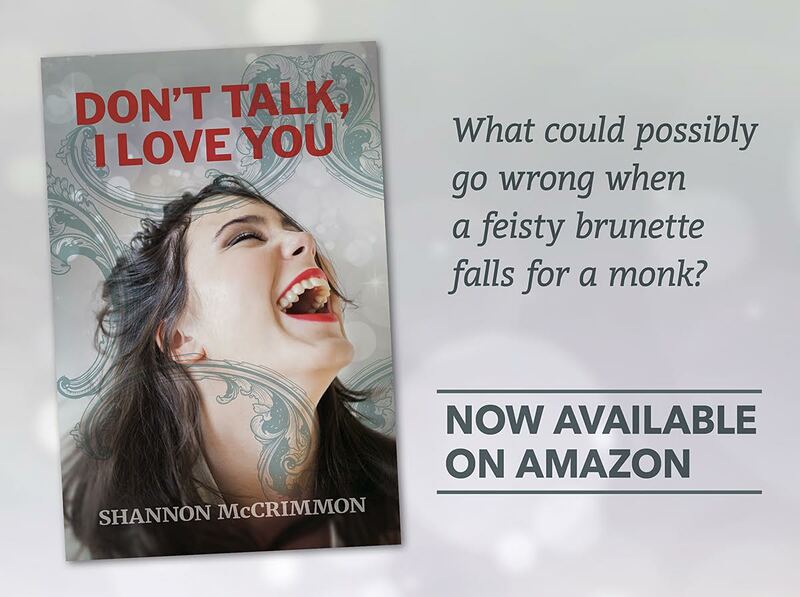 Don’t Talk, I Love You is now available for purchase! It’s release day! Here’s the link to buy Don’t Talk, I Love You: goo.gl/uaTFiL If you’re a Kindle Unlimited subscriber, you can grab it for free! Synopsis: Recent college graduate Hadley Echols finally has a job. Her first priority – find an affordable place to live. She thinks it’s hopeless until she sees an ad that at first seems like a joke: “THREE MONKS SEEK ROOMMATE.” She doesn’t know anything about monks, only that her new roomies are on a vow of silence and only communicate via text. Then there’s the slight problem of her finding one of them irresistible. To make matters worse, her new boss might be Satan incognito and her ex-flame is back. © 2015 Shannon McCrimmon - All rights reserved.